In the Pacific Northwest we have many amazing local makers around us. 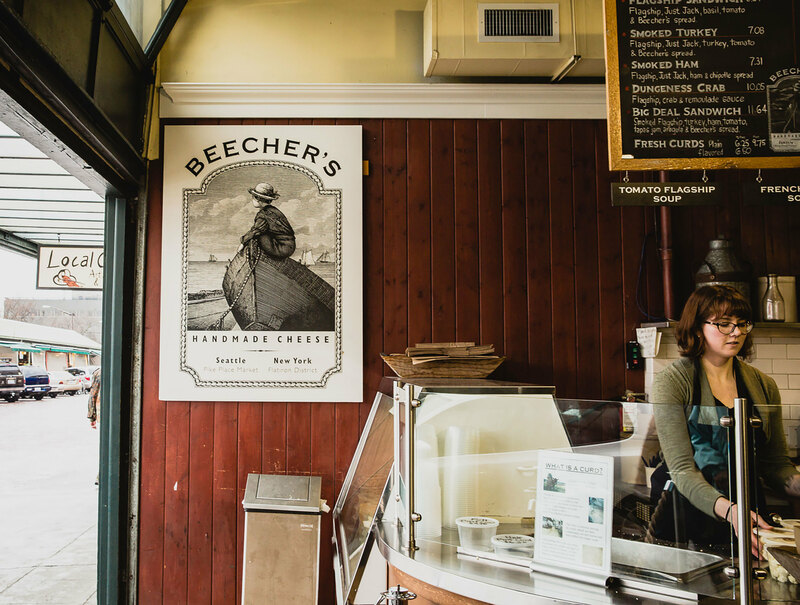 One of Seattle’s most classic food producers is Beecher’s Homemade Cheese, a local favorite and a Homegrown favorite. We love partnering with such an incredible local company that’s focused on creating mindfully produced products free of harmful additives. Founder Kurt Beecher Dammeier is not just passionate about cheese but also believes that people should “know more about the food they eat – where it comes from, what goes into it and how it is made.” With a vision that we so deeply connect with, Beecher’s is a natural fit for us, and a delicious one at that. We are proud to partner with Beecher’s and feature their cheese on our Bacon, Egg + Beecher’s and Ham + Beecher’s. We took a walk down to Pike Place Market on a distinctly PNW-style rainy day to admire the cheese making process & soak up some of the beauty and flavor Seattle has to offer.